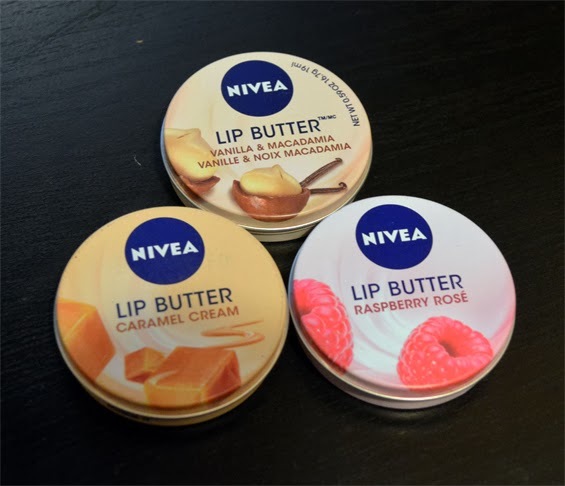 Little Loves - Nivea Lip Butter Review - Sugar, Darling? Just a quick post today to share one of my favourite new beauty finds! They've actually been around for about a year now - I remember hearing good reviews back in January! - but I only just got my hands on some. In truth the only reason I grabbed them was because they were on offer at Ocado for £1 each and as the weather is turning it's thermostat down I thought I should stock up on lip protection so I don't have to worry about chapping. A girl never wants to be worrying about chapping. They're hardly expensive at £2.25 each full price but at only a quid I thought I'd grab all three flavours to try. Until 03/12/13 you can get them for £1 each at Ocado or Boots currently have them on a 2 for £3.50 offer. I absolutely love them, they're just what I like in a lip balm - wonderfully scented and not too sticky. If you put too much on you might find them a bit greasy - you only need a little trust me. In less than a day they've restored my lips to their former glory after a weekend wearing a red lipstick that turned out to be really drying, after only three applications (one of each flavour of course) my lips are nice and plump and soft again. The scents are nice and strong, my favourite being the raspberry rose which smells like the best chewy berry sweet ever. The vanilla macadamia is dreamy too with a mega creamy scent reminiscent of white hot chocolate, ad the caramel cream is like tasty caramel coated popcorn. Another thing to note, as I am a packaging design nerd, is that the tins are a really pleasing size and shape and the smooth matte print feels really nice in your hand. 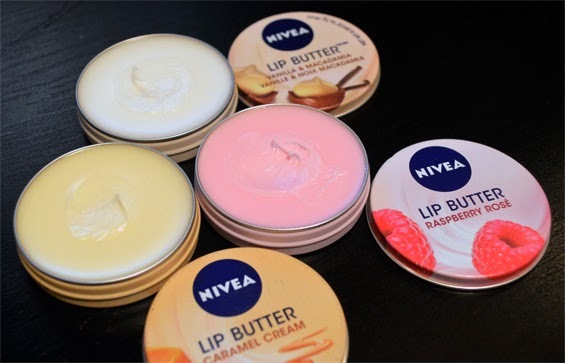 My only gripe would be that they are a little milky and semi-opaque so they make your lips look a little pale when applied, but if you only use a small amount it's barely noticeable. These will definitely be a staple item in my handbag and in my glove compartment from now on and I'll be stocking up on some more in my next Ocado shop!